Bollywood is one of the leading films producing industry in the world. There are very few who make a mark in this industry and there are many who just are unable to sustain its ever increasing demands. 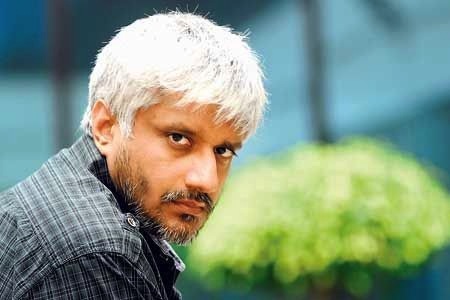 Vikram Bhatt, the ace director who has already directed 24 films & is now on the verge of completing a silver jubilee in the number of films directed with his upcoming movie, Dangerous Ishq completed 20 years in the industry today. Two decades back he directed his 1st movie, Jaanam in 1992. His journey from Jaanam to his present day project has just got better with time and age. Looking at his previous projects, it is clear that he can make diamond out of stone. Vikram Bhatt posted on his Twitter handle saying that he completed 20 years today since his 1st day as a director and it has been a long journey. His upcoming movie, Dangerous Ishq is his 25th directorial venture and he is coming with a bang with the beautiful Karisma Kapoor opposite Rajneesh Duggall. With the star power of Karisma and Rajneesh’s talent, Dangerous Ishq is all set to throttle the silver screen on 11th May, 2012.